Set the "Plastic Material" drop-down to Onyx. Note: Laser scans will only work with Onyx parts. Configure any other part settings, as desired, and press the "Save" button. Click the "2D" button in the upper right of the screen. Click on the layer bar and use the arrows to navigate to the layer you want to scan after. Enable the "Scan After Layer" toggle button in the "Editing Layers" panel in the upper right corner of the screen. 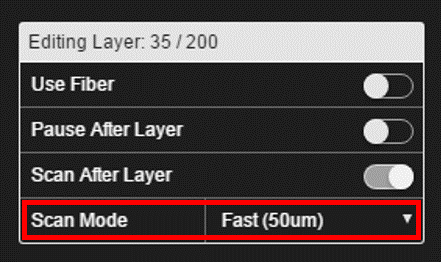 Choose a "Scan Mode" option from the drop-down list. Note: The better the quality of the scan, the longer the scan of the layer will take. The "Estimated Scan Time" will appear in the upper left section of the screen when a scan is added and will adjust automatically for the quality of the scan selected. 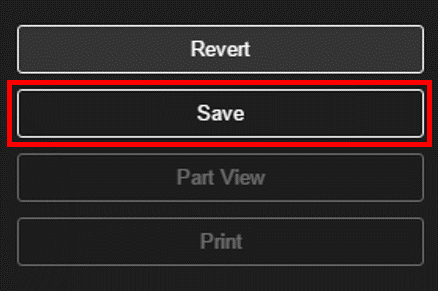 Press the "Save" button to save the part with the scan. When you insert a laser scan after a layer of your part, Eiger will incorporate the scan routine into the MFP file. The scan will begin immediately after the layer finishes printing. If your print was started directly via Cloud Eiger, the scan data will be sent directly to Eiger when the scan routine finishes. Navigate to your Print History" page in Eiger. 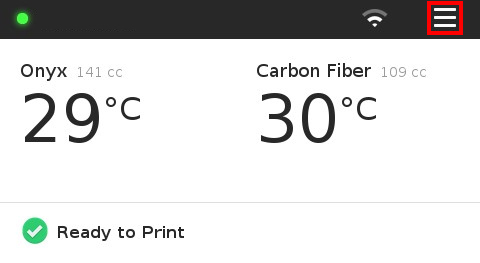 Select the "Has Scans" button to filter your print history into only parts that have scan data. Find the print that you want to view scan data for. 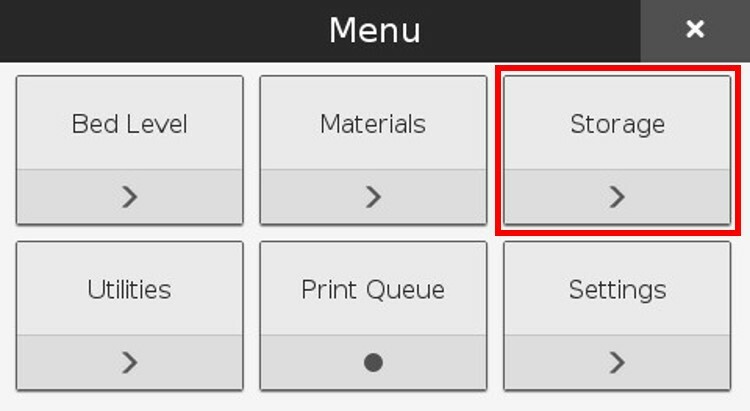 Select the Scan icon for that print. When you insert a laser scan after a layer of your part, Eiger will incorporate the scan routine into the MFP file. The scan will begin immediately after the layer finishes printing. 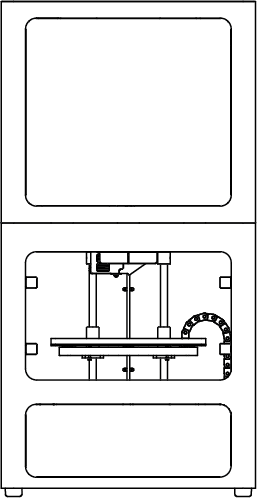 If your print was started via USB, the scan data will be saved to your printer when it finishes. Insert a USB thumb drive into your printer. 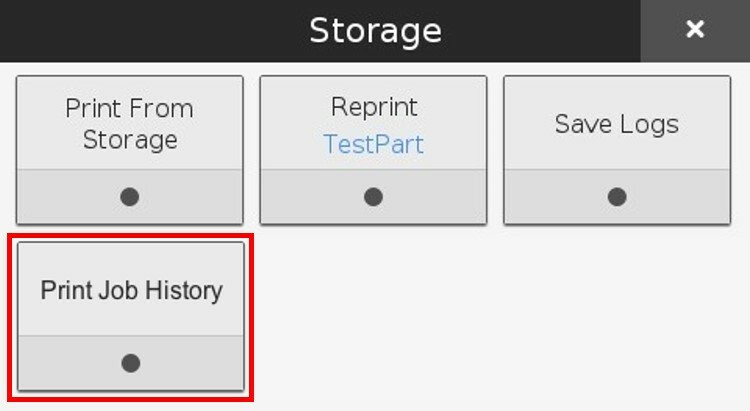 Select the "Storage" tile from the available options. 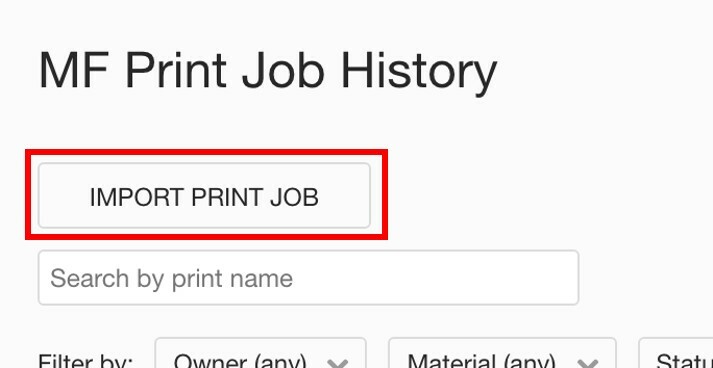 Select the "Print Job History" tile from the available options. Select the print job from the recent history. 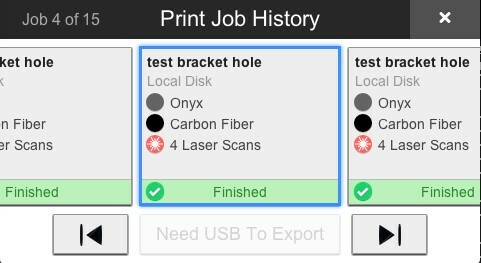 Note: Print jobs with completed laser scans will have a laser scan icon in the print job tile. If the laser scan is still in progress, the icon will not appear and the scan will not be able to be exported with the print job. Press the "OK" button on the "Export Complete" screen. 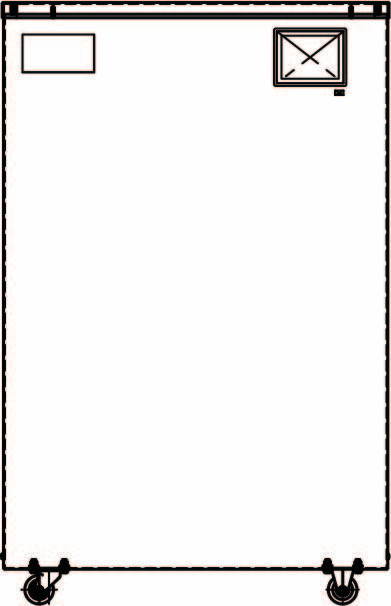 Note: If the export encounters any issues, you will be presented with a screen detailing the failure. Please see the Troubleshooting section below for more information. Remove the USB drive from the printer and plug it into your computer. Open Eiger and navigate to your Print Job History page. Press the "Import Print Job" button at the top of the "Print Job History" page in Eiger. Select the file from your USB drive folder. Wait for the "Print Job Importer" to load the files and say "Import Complete", then press the "Done" button. 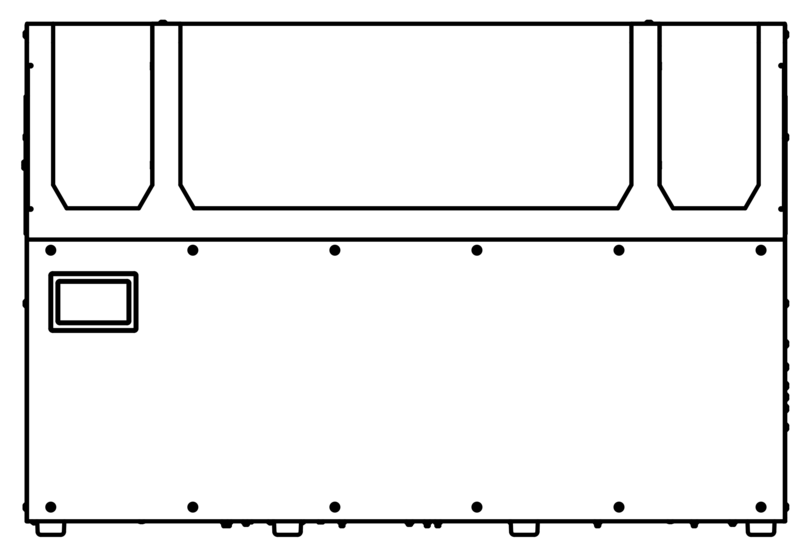 Once the print job is imported, you can access the scan data and check the accuracy of your parts. For more information, please see the In-Process Inspection support article. Depending on your work flow, and the state of connectivity of your printer, you may see the following messages during the process of saving and uploading your laser scan. 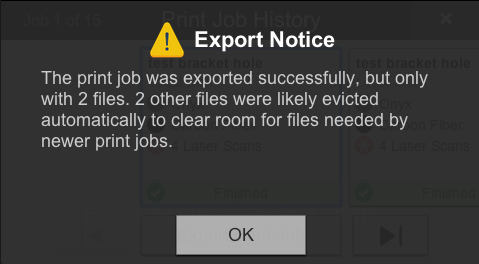 Export Notice- Files Automatically Uploaded: If you get this notice, it means your print was started via Eiger and any laser scan files were most likely already imported directly to your print job in Eiger. If you cannot find the scan files in Eiger, it's possible that they were deleted to make room for additional files on your printer. Export Notice- Files Evicted: If you get this notice, it means your print was started via USB and any laser scan files were likely erased from your printer to make room for new files. Print Job Importer- Different Eiger Instance: If you get this notice, it means you are trying to load a print job into a different Desktop Eiger instance than the one that the part was originally exported from. Print Job files must be loaded into Desktop Eiger from the same machine the part was sliced, saved, and exported from. Print Job Importer- Local Storage Content: If you get this notice, it means you are trying to import a Print Job File into Cloud Eiger that contains data originally sliced and stored in an instance of Desktop Eiger. Files for parts originally exported from Desktop Eiger cannot be imported into Cloud Eiger to maintain security of the part data.